The question of the imperatives induced by the Gandhian concept of non-violence towards animals is an issue that has been neglected by specialists on the thinking of the Mahatma. The aim of this article is to highlight the systematic – and significant – character of this particular aspect of his views on non-violence. The first part introduces the theoretical foundations of the duty of non-violence towards animals in general. Gandhi's critical interpretation of cow-protection, advocated by Hinduism, leads to a general reflection on the duty of non-violence towards animals, the cow being transformed into the representative of all “dumb creation.” The approach adopted by Gandhi to solving the problem of cow-protection focuses on its practical dimensions and is based primarily on reforming animal husbandry. 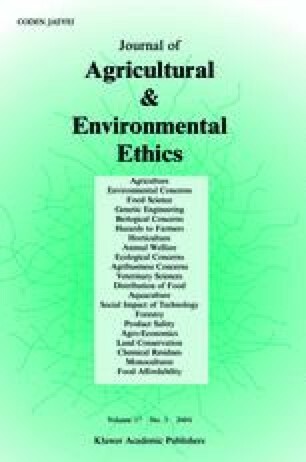 What limits should be imposed on the exploitation of farm animals within the framework of non-violence? Gandhi devoted nearly 30 years to elaborating an animal husbandry system that would be both economically viable and in conformity with the universal ethical principles he drew from religions (especially Hinduism). The interdiction to kill is absolute, since Gandhi not only rejects the breeding of farm animals for the purposes of butchery but also the slaughtering of animals that are no longer capable of providing the services required of them. He therefore concentrated his efforts on drawing up a scheme to reorganize this activity on a national scale while taking into consideration these constraints, which are less contradictory than they may seem to be at first sight. Reviewing the age-old activity of animal husbandry in the light of non-violence is clearly based on the specific nature of Hindu traditions. However, it goes far beyond cultural or religious relativism, since it is also founded on universal ethical principles.